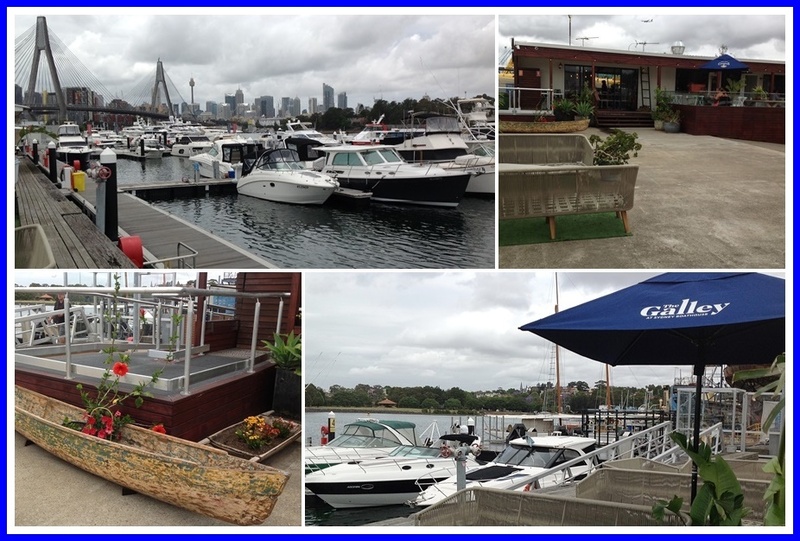 It's new, it's fresh, it's a hidden harbourside gem with both water and city views – it's The Galley at Sydney Boathouse. Flanked by the Anzac Bridge and the Superyacht Marina, it's a haven in Rozelle Bay with its nautical theme blending in with the community. From the rustic boat outside to the colours and the beautiful lighting inside, The Galley welcomes you to breakfast and lunch 7 days a week. Its beach vibes provide a relaxing place for your brunching, where your pet can join you too. As it was an overcast day and rain imminent when a friend and I arrived for lunch, we chose to sit indoors and started with some cold drinks – the Pash N Shoot house smoothie with mango, pineapple and passionfruit and the Juice of the Day with carrot, apple, strawberry and lemon. Both orders were refreshing as we perused the lunch menu. Midday choices include starters, salads, burgers, wraps and sandwiches, pasta and, of course, seafood by the sea. My lunch companion chose The Galley Salt & Pepper Squid, which came with a salad and house dressing. She declared the squid was cooked perfectly and the salad very nice. I decided on the Pumpkin Salad with an add-on of lamb meatballs. The salad of roast pumpkin, together with tomato, fig, black rice, feta, greens and lemon dressing, made for a colourful meal. The warm pumpkin was a delight, as were the meatballs, and the sweet fig pieces took it to another level. It was a great choice and the best salad I've had in a long time. Apart from meatballs, you can also add on roast chicken, halloumi or pulled pork, should you wish. To finish off a lunch, my sweet tooth usually likes a dessert of some kind. The lunch menu doesn't have any desserts as yet but the waitress advised they're working on that aspect. However, they do have a few sweet items at the front counter and we decided to share some chocolate and strawberry bites. They went well with the cappuccino I had. A children's menu is also available with the likes of Macaroni & Cheese, Chicken Parmigiana with chips, and nuggets. Liquid refreshment in the form of milkshakes and low-calorie drinks can be had too and, for those colder months, the hot chocolate warms the soul. Should you be arriving for breakfast, then you'll be spoilt for choice with bread and pastries, granola with yoghurt and fruit, eggs your way with a range of sides, toasties with French mustard, a Brekkie burger, Big Breakfast, corn and zucchini fritters, house-made potato rosti, and a very healthy green breakfast bowl. For more of the menu and all the pricing (which is in line with other similar establishments), click here. Breakfast is until 11.30am and then the lunch menu kicks in. All in all, it's a beautiful setting where you can kick back and bask out in the sun on a good day or head inside to a cosy atmosphere with cushions to chill out on a cooler day, whilst you indulge in your feast. P.S. Service came with a smile too and there were no long waits. I highly recommend you pop down here with your besties and discover its delights for yourself.